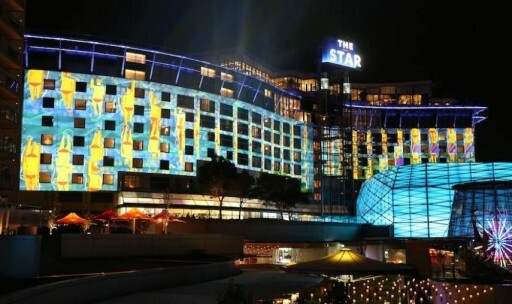 The rise in late-night assaults followed the decision to exclude two major entertainment venues from the lockout zone – Star Casino in Pyrmont and Crown Sydney in Barangaroo. While the casino pulled in over $100 million in extra profit since the introduction of the lockout laws, statistics prove a direct correlation between increased alcohol-related violence and partygoers attempting to get into venues excluded from the lockout zone. Law enforcement authorities were called to the casino 732 times in 2014, up from 465 in 2013. In 2014, 76 assaults were recorded at the casino compared to the 43 assaults during the previous year. This revelation came after riot police were called to the casino in mid-February to break up a brawl which resulted in two men, aged 24 and 44, being taken to St Vincent’s Hospital with non-life-threatening injuries. Police believe intoxication was a factor and that the brawl began because a group of men were not allowed to enter the casino. Alex Greenwich, Independent member for Sydney, said Pyrmont residents have voiced concerns to him about an increase in the number of drunken patrons in their neighbourhood. Edwina Lloyd, State Labor candidate for Sydney, believes lockout laws should be standard across the state in line with what experts have recommended. “The increased problems at the Star show exactly what happens when you start picking favourites and applying different rules to different venues – we’ll be back exactly where we were before the lock-out laws came into place,” she said. These sentiments were echoed by the Australian Medical Association, NSW Police Association and the Health Services Union, among others. Sydney City Council last week endorsed further funding for Safe Space, a joint initiative from the City, NSW Government, The Salvation Army and the Thomas Kelly-Youth Foundation in order to combat alcohol-related violence. The Bureau of Crime Statistics and Research will soon release updated statistics on the city’s alcohol-related assaults in the year since lockout laws were enforced. The Star were unavialable for comment.